1. 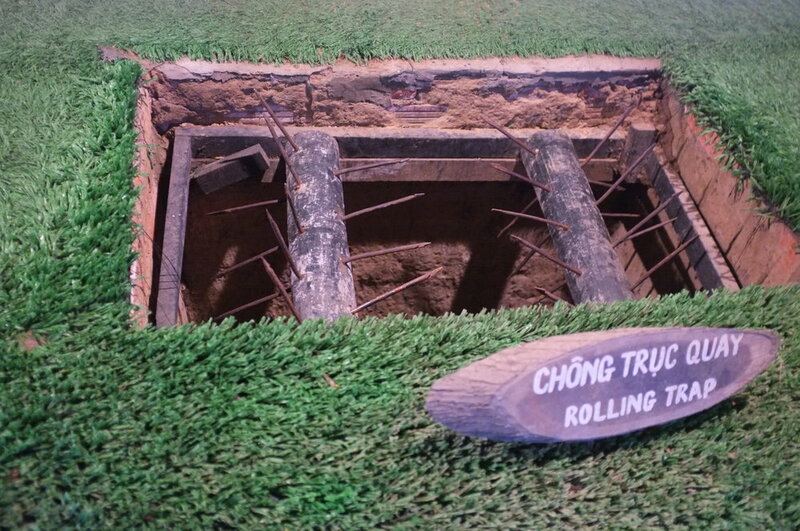 Cu Chi Tunnels: The Vietnamese created an incredible network of tunnels during the American War. We got to explore the upper-most layer of tunnels, which was cool but also my worst nightmare. It's really stuffy, dark, and hard to breath. There were places you need to be on your stomach to squeeze through. I'm also double the size of a lil Vietnamese guy, so that didn't help my case. We also saw these crazy booby traps the Vietnamese set up. 2. The American War Museum: It was extremely sobering to visit the American War Museum. The first floor showed photos of protests from all around the world. The second and third floors were much more difficult to experience. They captured the lives of those affected by the Vietnam/American War. Most significantly, the devastating effects of chemical warfare. Agent Orange was sprayed over 4.5 million acres of Vietnam and resulted in countless severe health issues among Vietnamese people. Evidence suggests that the toxin causes permanent epigenetic damage that can be passed on to future generations. It was pretty depressing but was really important and interesting to see. 3. 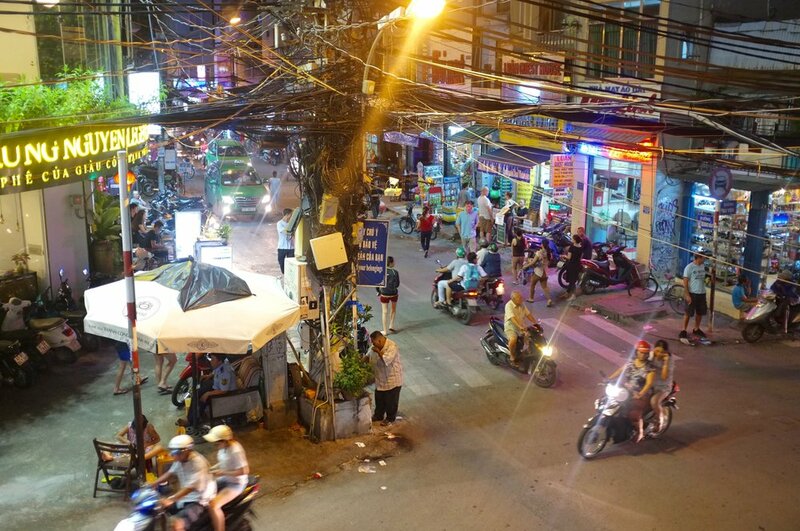 Night Life: Ho Chi Minh was nuts. By far the craziest city I've ever been to. The backpacker street was constantly bustling with tons of people from all around the world who wanted to get rowdy. Everywhere we went, we met tons of people. One night, Marissa and I spotted the tallest building we could see and decided we wanted to get to the top. I wasn't dressed appropriately to go up to the Sky Bar, but fortunately the hotel spared me a pair of dress-code sandals so I could enjoy the city skyline and an overpriced drink. 1. Taxis: We got in a green taxi at the American War Museum and the meter was out of control. It was going up so, so fast. I told the driver to stop so we could get out and he kept driving. I said I wouldn't pay more than a certain amount and he got so angry. We paid more for that 15 minute cab ride than we did for our one hour taxi ride to the airport. 2. The insanity: Marissa and I were exhausted by the end of our two week adventure in Vietnam, so we weren't embracing the craziness of the city as we would have at the beginning of our adventure. Ironically, we spent a lot of time in different coffee shops relaxing.